Greetings to you from Barb! I absolutely love the new Cracklin' Rose line of papers! 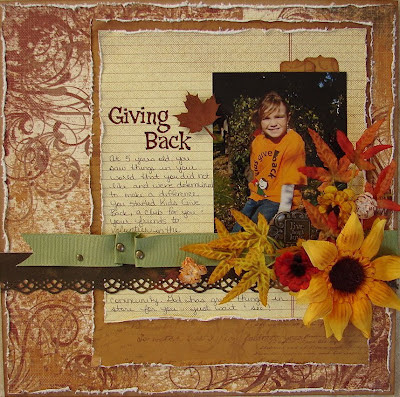 You have already seen some amazing projects using this line the past few days and I am thrilled to share my layout with you today! I had a photo I wanted to use on a layout, and I knew these papers would be perfect for it! When my daughter was in kindergarten, she was very aware of her environment and there were things she saw that she didn't like.... garbage along the road, pets that needed homes, kids in shelters, people that were hungry... and she wanted to make a difference. She started a club called Kids Give Back. She planned every aspect of the club, right down to the orange t-shirts they wore to each activity they participated in. The bold color stood out, but it also made it difficult to find papers that would work when scrapbooking her photos. The Cracklin' Rose line worked perfectly! 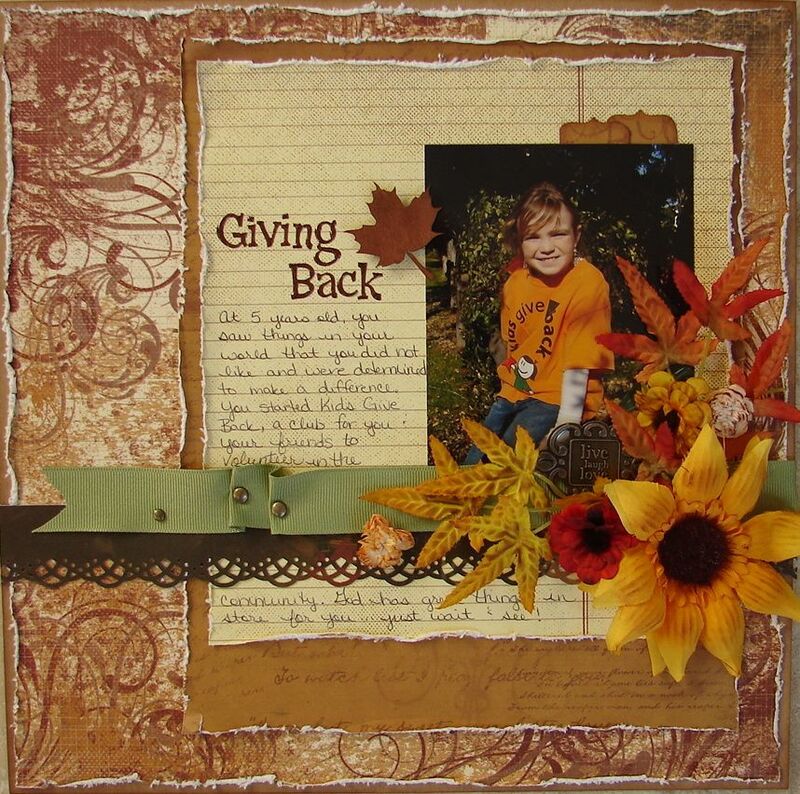 I layered several sheets of the Cracklin' Rose line on this layout. I distressed the edges to add a little extra texture. 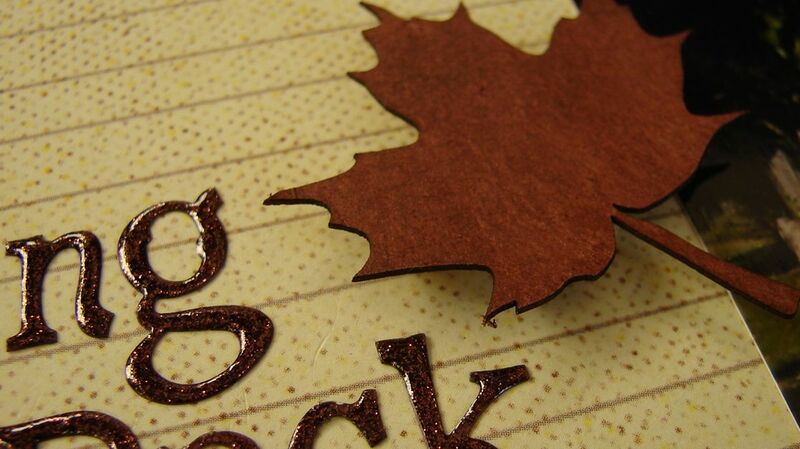 Quick Quotes has some amazing chipboard embellishments, have you checked them out yet? I added some PowderPuff Chalking Ink in Bloody Mary to the Fall Leaf to coordinate with my layout. 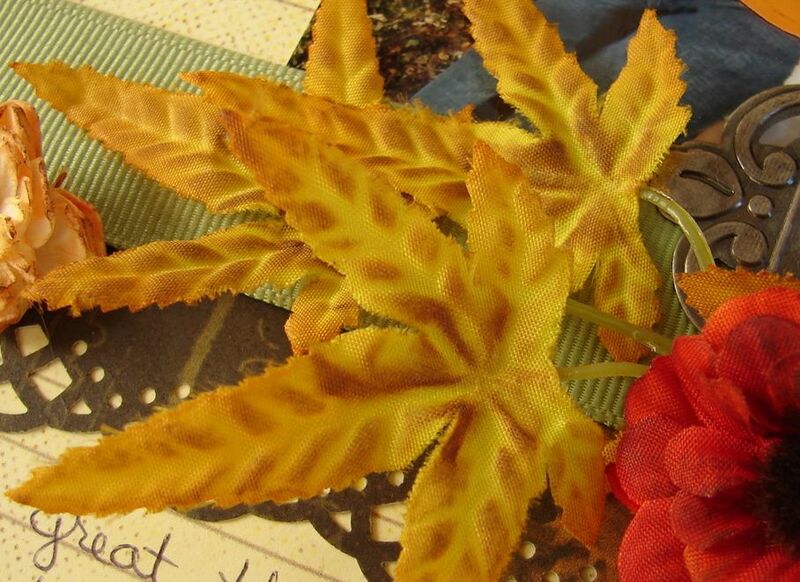 I found these silk leaves in my stash of supplies, and wanted to use them, unfortunately they were way too bright. To tone them down and give them more of a fall look, I added a little PowderPuff Chalking Ink in Mocha Mama. Gorgeous Barb! I love what you did with the leaves. You should be so proud of your daughter and your lay out. I really like how you toned down the flowers with the chalking ink. Thanks for sharing.